Congratulations to all the women and men at CERN, where they have been successfully colliding beams at 7 TeV in the Large Hadron Collider for over an hour now. 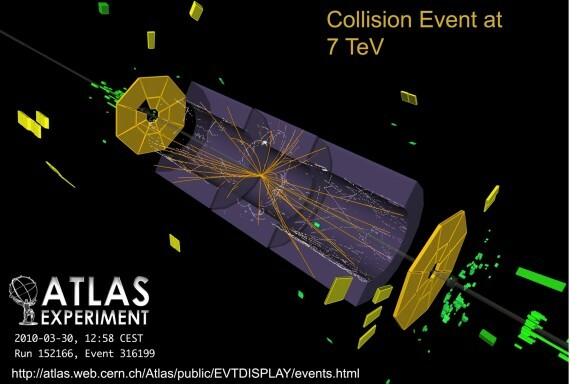 Particle physicists around the world are looking forward to a potentially rich harvest of new physics as the LHC begins its first long run at an energy three and a half times higher than previously achieved at a particle accelerator. Shine on you crazy bastards.